Has grey granite oval surface. Size: 15" wide, 21" deep. Single brass gooseneck post that holds heat lamp. 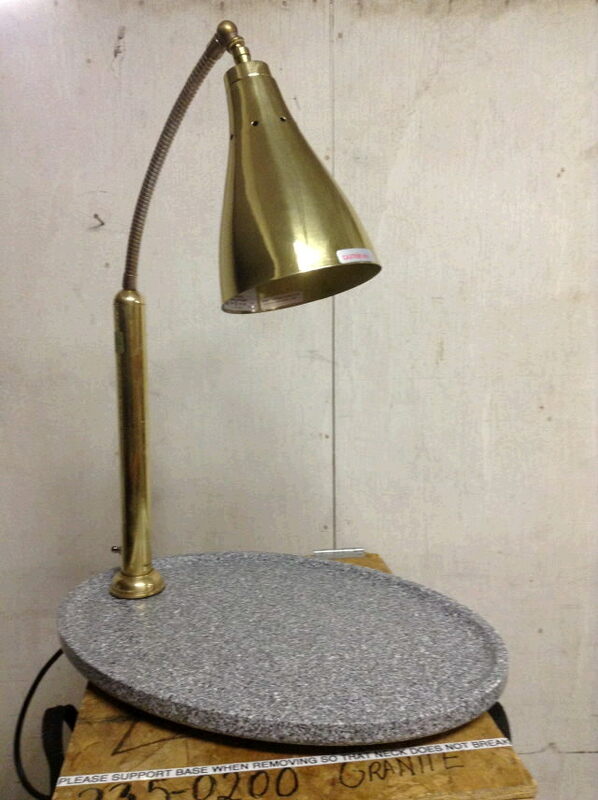 * Please call us for any questions on our heat lamp brass granite rentals in Ft. Wayne IN, Warsaw, Syracuse, Auburn, South Bend, Indianapolis IN.